Oh, Bolivia. This is a place where everything converges—mountains, water, desert, cities, the sky, diversity, poverty, jungles, witches, surreal beauty, friendships. Sadly, Bolivia is often overlooked in favor of neighboring Peru, which is also incredible but certainly not a substitute for the two countries truly have different offerings. Bolivia is a country of extremes. The numbers seem to hold it back: it is the poorest country in South America, and it is landlocked. However, Bolivia also has the largest indigenous population in South America and is incredibly diverse—in terms of both its peoples and its landscapes. In other words, Bolivia has struggled, but it is truly a wonder. Copacabana, from the mirador (overlook). For travelers, there are some significant benefits to visiting Bolivia. The country is very cheap. It is possible to see an awful lot in a short amount of time (though you will always want more time). There is enough tourism infrastructure to be useful when needed, but it is also not as overwhelming as in other countries. If you’re willing to rough it just a bit, you’ll see some of the most remarkable sights, and meet some great people. And you’ll think about South America’s history. All too often we overlook the brutal history of conquest in the Americas, we see Machu Picchu and other Incan ruins as crumbling stones to take photos of rather than the haunting ghosts that they are. But in Bolivia, the ghosts are alive and staring you in the face, smiling, working, guiding you, kindly making you custom bracelets unasked. Before I met the people-who-aren’t-ghosts, I treaded on the land-that-still-is. 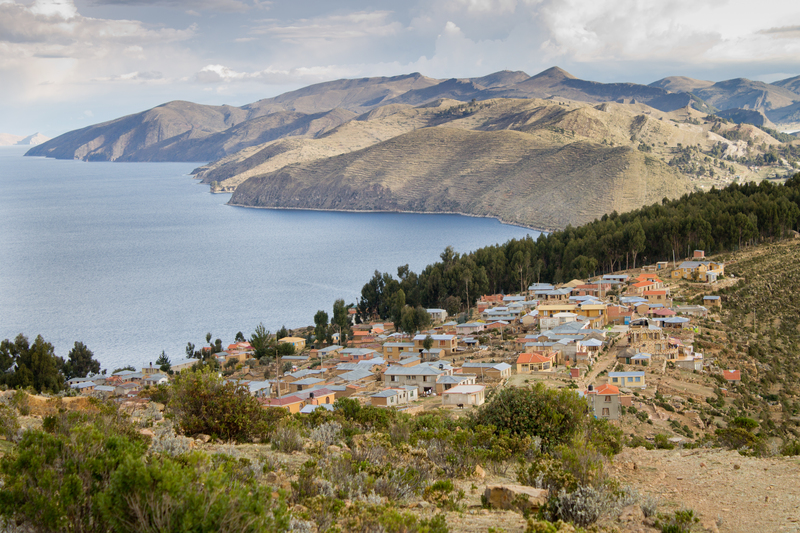 Our first stop in Bolivia was Copacabana and from there, Isla del Sol. My friend Rachel and I endured an overnight bus from Cusco to Copacabana during which we struggled through a border crossing as the only two U.S. citizens on the bus. But the cumbersome entrance into the country was worth it. 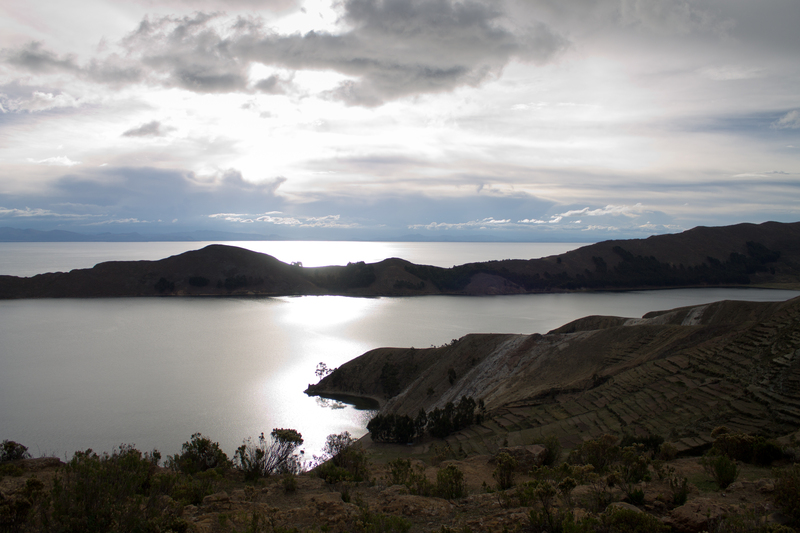 We knew this as we laboriously scaled uneven stairs with the crowds of Bolivians and tourists to the overlook the town and Lake Titicaca, the highest navigable lake in the world. This is truly a special place. Incan farming terraces on Isla del Sol. 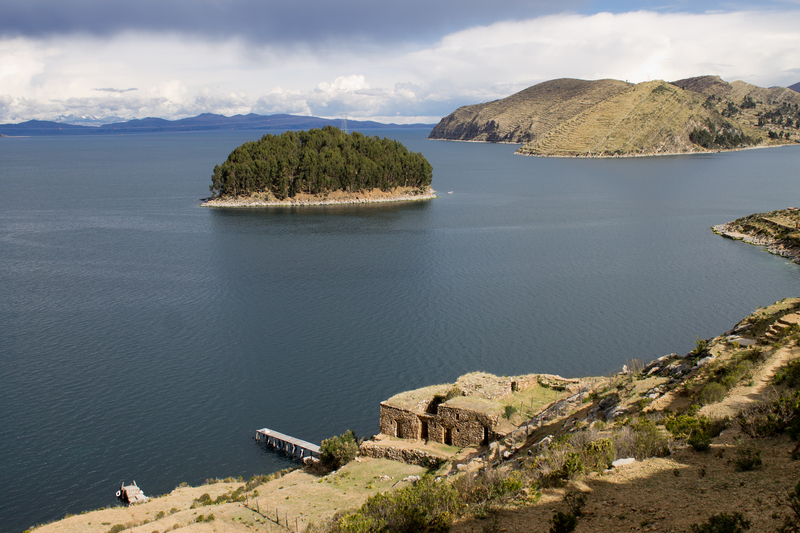 We then took a boat over the lake to Isla del Sol, Island of the Sun, the supposed birthplace of the Incan sun god. The island is scattered with ruins, the land is still terraced in true Incan farming style, and there are no motor vehicles. It is a curious blend of modernity and history, and a remarkable place to visit—that is, once you conquer the stairs. We landed at Yumani, one of a couple towns on the island. To get from the dock to the town, you must ascend a long set of stairs cut in the face of the island, which is not the easiest at altitude. But as with so many other places, the view from the top makes you forget your troubles in getting there. Lacking endless time, Rachel and I wandered around the island near Yumani, over the hills and their terraces, through town, past various comical animals, up a hill to some ruins. 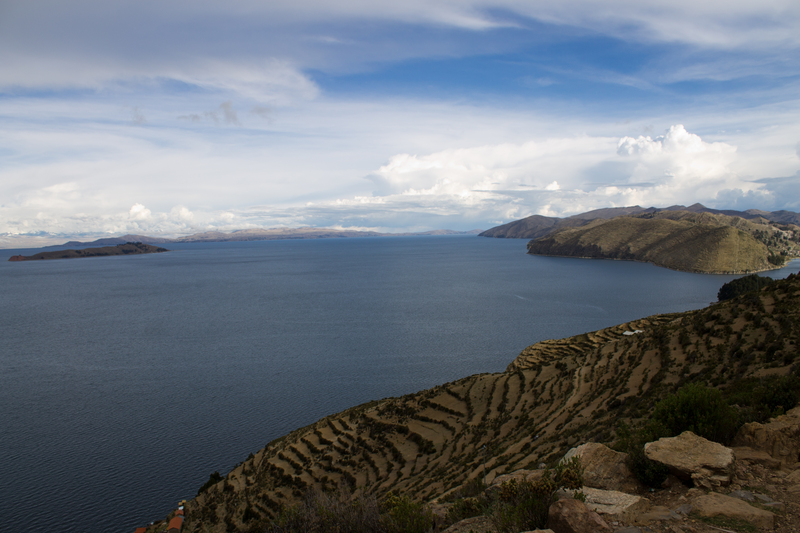 From Isla del Sol, you can gaze over the lake and realize just what Bolivia holds. 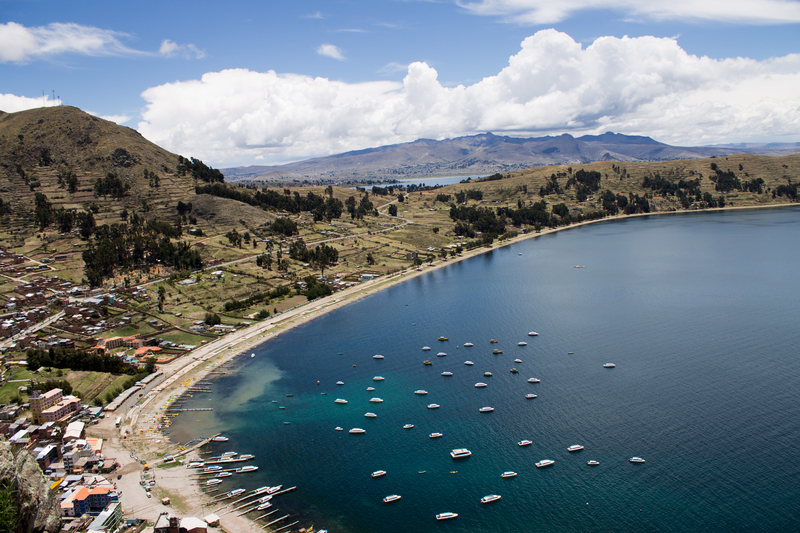 Nearby is Isla de la Luna, Island of the Moon, home to the Incan Temple of the Virgins. Behind the lake stretches on, but through the clouds you can glimpse the mountains that tower over all from afar. And in special places, surrounded by items that have been of significance for thousands of years, Rachel and I pondered what was special in our own lives. We talked about why we traveled, about judgment from others, about our relationships which were precariously but successfully founded on long-distance. Our lives pale in comparison to everything, but they’re still ours to share and to build bonds between. When traveling, there is somewhat of a push to accelerate the process with newfound friends that you know you will not be with for long. 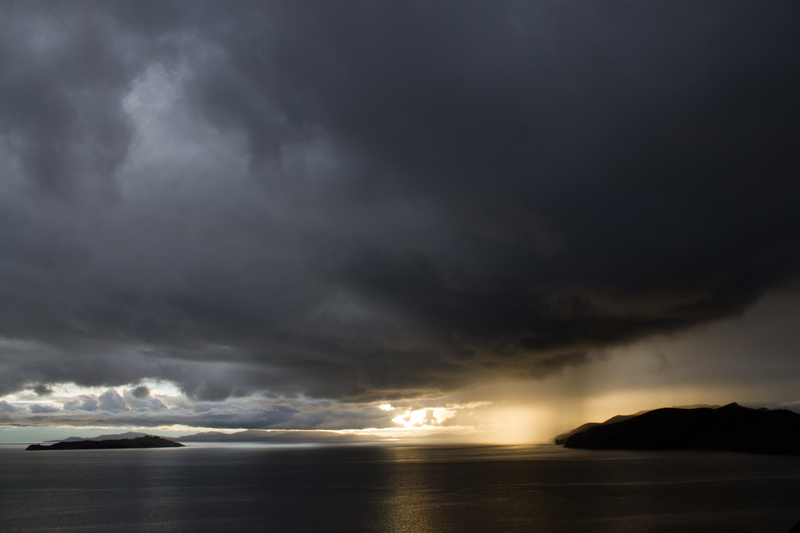 We walked, we found dinner, and we watched the sunset and an incoming storm from the porch of our hostel. In the beginning in Bolivia, we walked beneath the close and enormous cloud-ridden sky, and everything—land, history, and our own lives—came together. 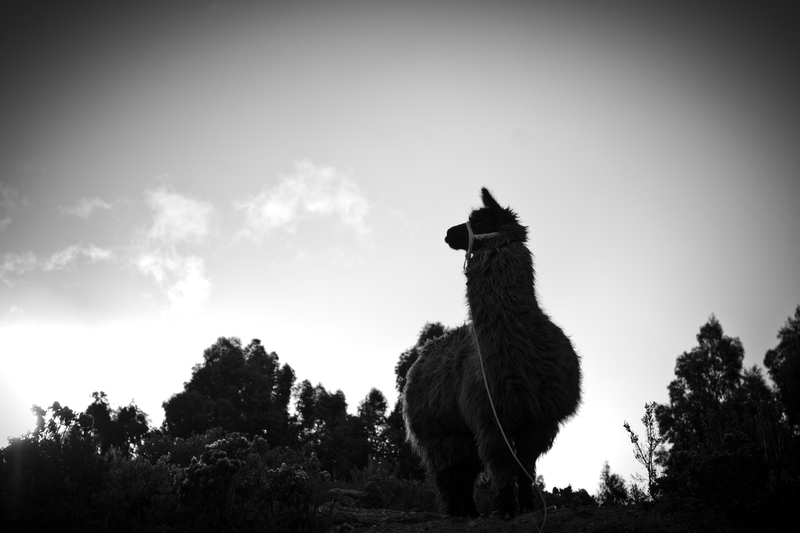 Bolivia is a place where everything is important, everything is examined, everything touches. The sky touches the water, our outsider lives brush through living history, and it all grabs on to each other. One day on the island is not enough time. Two weeks in the country is not enough time. But it is something. And for me, there’s still a few years left on my visa. If you’re thinking about South America, consider Bolivia. It holds many of the extremes of the earth, and if you want to learn from it all, you easily can. Lovely post and great pictures! I’m so gutted we didn’t make it to Bolivia. I’m glad you shared this with us so that we could get a taste! ahh my friend keeps telling me to visit him in Bolivia but I don’t have enough money right now, I’ll just look at this post and daydream! Aw, well Bolivia will be waiting for you to visit sometime in the future. :) It is really cheap once you’re there but unfortunately, depending on where you are, it isn’t the cheapest to get to! http://wanderingsomwhere.wordpress.com Hello guys please visit my blog and leave your comments on my posts. Some feedback would be great for an 18 year old beginner ! Thank you so so much. I follow back. Love the picture of the donkey! What a beautiful place. I should hope to go there one day. Thanks, I hope you can too! Your photographs are beautiful and your writing is lovely. Excellent post! Haha, true! And thank you! beautiful photos! My earliest memories are from Bolivia but they are quite blurry by now. But I still remember the lake Titicaca and El Valle de la Luna even though I was very little then :) great post! Oh.. this place looks so peaceful! anyway nice photos! Great post! My dream is to go all the way through south America with my backpack, reading this only made want it even mooore! That is a great dream – I would love to do that too! Fantastic. Bolivia is the country I most want to visit in S. America. It seems like such a mysterious, magical place. It is great. I’m glad it is your South American priority – the status is deserved! Those are some truly amazing photos. I never pictured Bolivia as being so beautiful. I never pictured Bolivia at all, actually, besides the vague awareness of a hilly land that probably grows coffee. Thanks for sharing your awesome trip. Thanks! I hope I sparked your interest in Bolivia a bit! Nice! And I never in my life visited any foreign country, so I like to read about some one else’s travels. I love to read about others’ travels too, even when I am traveling myself. Lovely! It’s definitely high on my list of next adventures. As it should be. :) Thanks! Everything that rises must converge…. Shriekback. love the post and the pictures. Thanks for sharing your adventure. My husband and I travelled through Bolivia about 7years ago. Reading this has brought back so many fantastic memories from our time there. Happy travels! I am glad I was able to bring forth some lovely recollections. Thanks for reading! Reblogged this on elizairaandes07's Blog. Wow. I had no idea Bolivia was so beautiful and interesting. All I knew was that it was a poverty-stricken, land-locked country where Che Guevara was captured. Your photos are amazing. Now I really want to visit! I took an early retirement from the airlines, and still have two months’ worth of passes. Perhaps I will actually use them to visit Bolivia. I love your description, “we walked beneath the close and enormous cloud-ridden sky, and everything—land, history, and our own lives—came together”. I felt that way when I visited Wineglass Bay in Tasmania. But I would not have been able to describe it as well as you did. Thanks for reading and the lovely comment! I am glad you want to visit Bolivia now. I hope you can make it! Absolutely love this and I cannot wait until I go. You are awesome!!!! Reblogged this on ibizaquique's Blog. Sold! Great photos and sense of place. I’m afraid you’ve entirely missed the point of the post, which is that even though Bolivia is poor and that might wrongfully dissuade people from visiting, it is a wonderful and an amazing place that I hope others will get to know. For a superficial post about Bolivia, it is good. Perhaps your personal discover of that country would have been preferable to typical generalisations. I was put off by your initial paragraphs. In my first paragraph I said that people sadly overlook Bolivia, so I think I made it clear that the generalizations I was describing are not my opinion. This post is about personal discovery in one specific place in Bolivia and I have also written about other places. If you write about other places perhaps you should omit hearsay generalisation. I am addressing the generalizations by confronting them. Ignoring them won’t change anything, so they should be described and then addressed. Nothing I said in my post was false and I made an effort to say that though these generalizations exist, there is more than that to be found. Although I don’t have your article at hand and if memory serves me well, you clearly stated that Bolivia is the poorest country in South America. Perhaps preceding that statement should have been something like: although it is said that…. Therefore noting that ‘Bolivia is the poorest country…’ Is not your opinion/categorical judgement. Great photos and interesting info. Awesome experience and very nice photos!!! Thank you for sharing your experiences! They seemed truly amazing! The photos really helped get a feel for Bolivia! Love the Blog! Thanks! It was an amazing place. Glad you enjoy the blog! No problems with customs control at the airport? I heard they tend to be very strict for Bolivia? 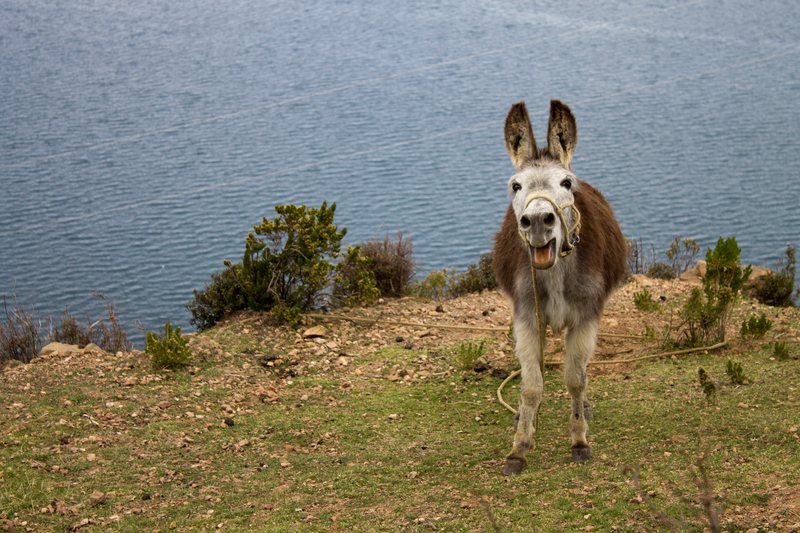 And how long did you stay at Lake Titicaca? Did you suffer from altitude sickness? I actually didn’t cross into Bolivia at an airport – I went through a land border. No big problems. It was a bit tricky in that the customs officer was asking for more documentation than we had been told we’d need but we managed to get them what they wanted. It’s good to be more prepared than you’d expect, though. 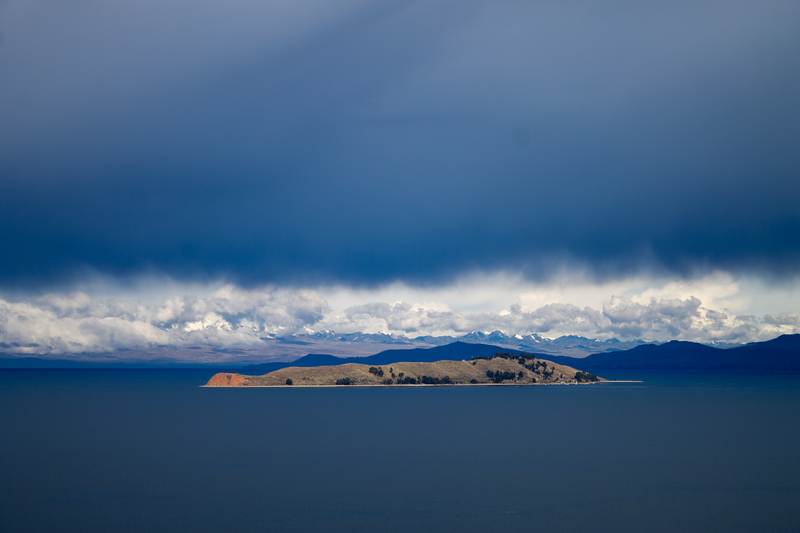 I was only at Titicaca for a couple of days, unfortunately. I didn’t have altitude sickness at all since I was already acclimatized; I had already spent close to three months in Cusco. 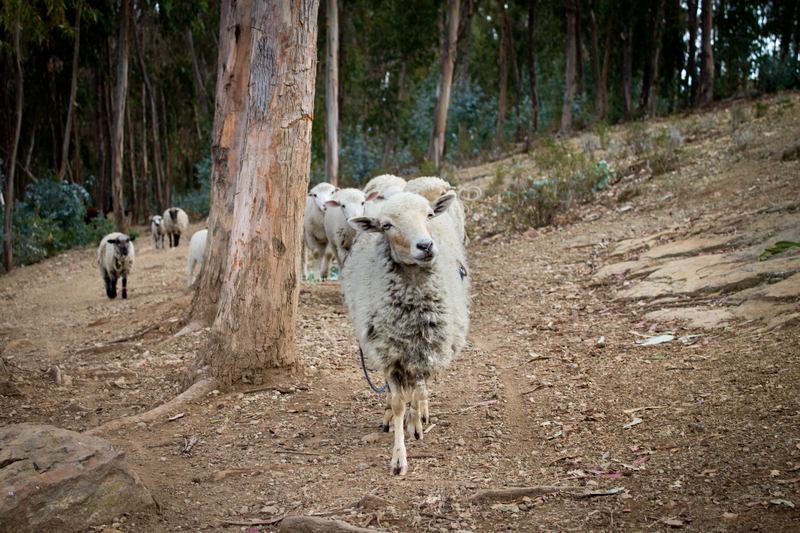 I didn’t have any problems when I first arrived in Cusco – just some definite shortness of breath and a bloody nose here and there – but it absolutely depends person to person. I know others who have been quite affected by the altitude and needed time to adjust. I have visited Bolivia several times after seeing images of a friends holiday. I must say that I love it there. It also means that I can ‘work’ while being on holiday. As a kitchen designer, I find there are elements of the traditional Bolivian kitchen that are practical and very ‘trendy’. This is great four our business, as it provides a ‘unique’ perspective for our product designs. Thanks for the article it provided a lot of reminiscing.